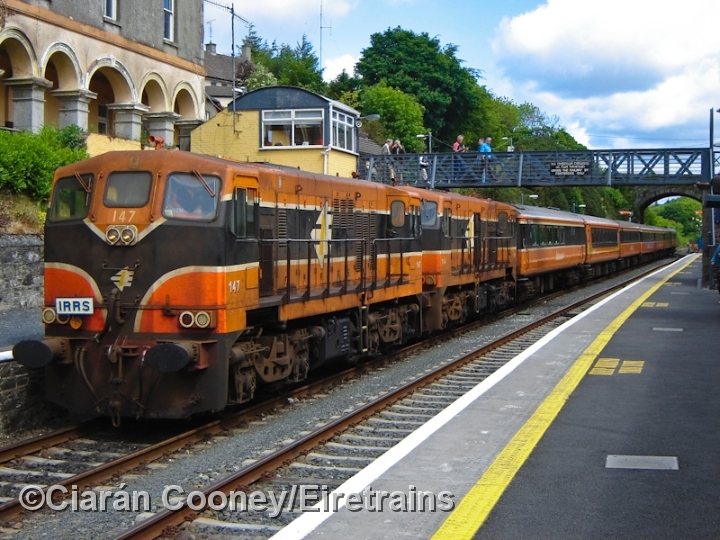 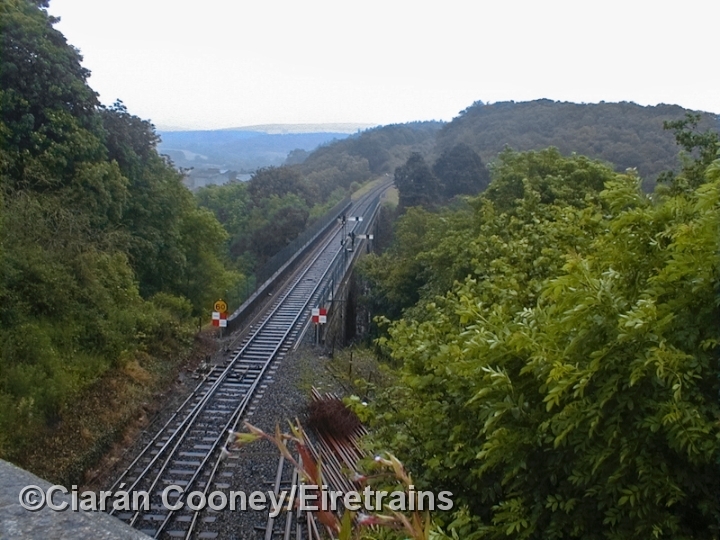 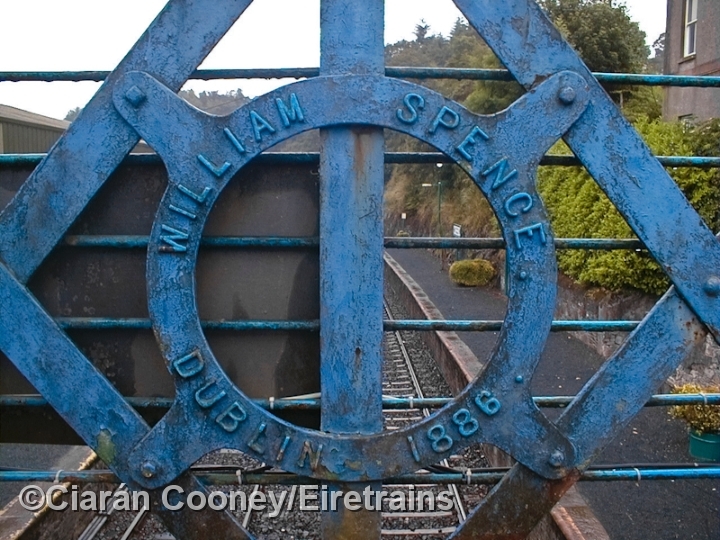 Rathdrum, located in the spectacular scenery of Co.Wicklow, was first served by rail when the Dublin Wicklow & Wexford Railway opened their line south from Wicklow to here in July 1863. 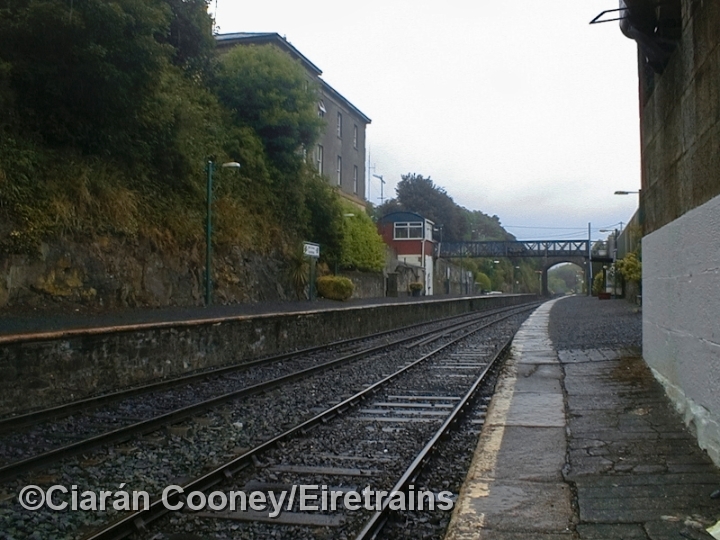 In 1861, prior to the completion of the tall stone viaduct over the River Avondale and the cuttings at the north end of the station, trains had terminate at a temporary terminus further north at Kilcommon. 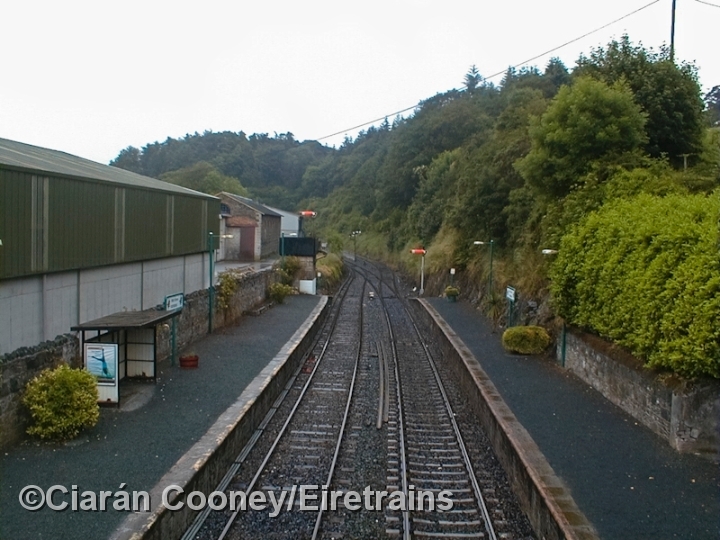 Rathdrum Station is located in a deep cutting, and space was quite limited, needless to say a goods shed and yard was built on the down side of the station, while the up platform side has a rock face at either end. 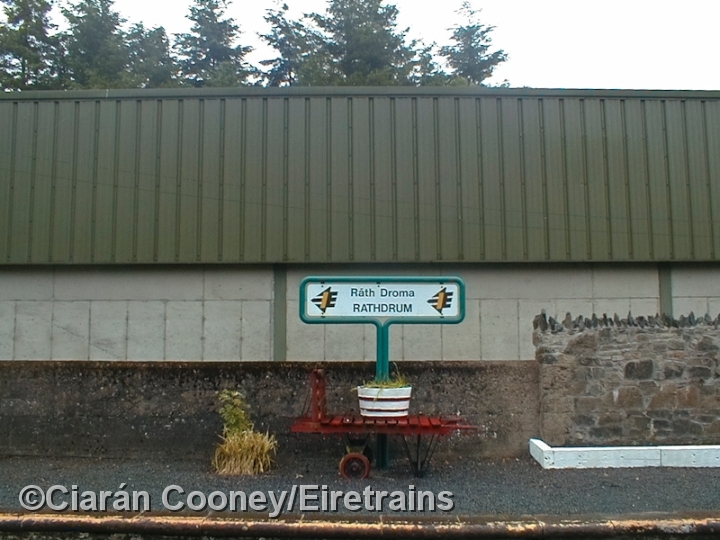 Perched above Rathdrum Station is the DWWR's own railway hotel, opened in 1863 with the station and out of use since 1931 when the Great Southern Railway closed it, remains albeit derelict. 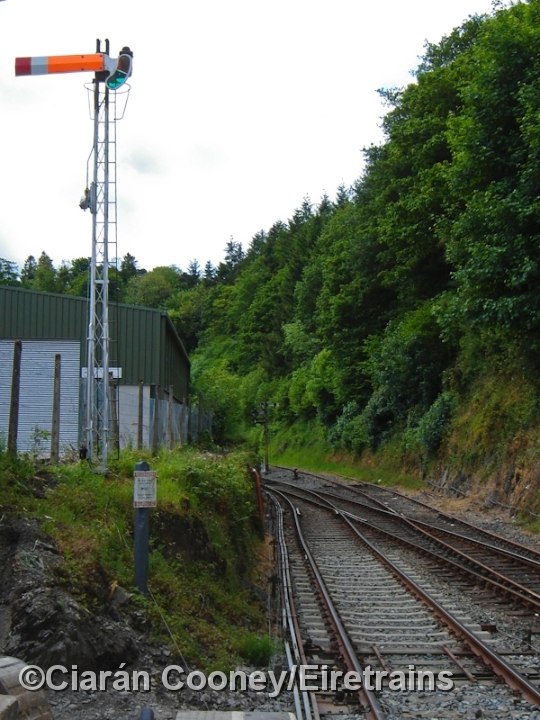 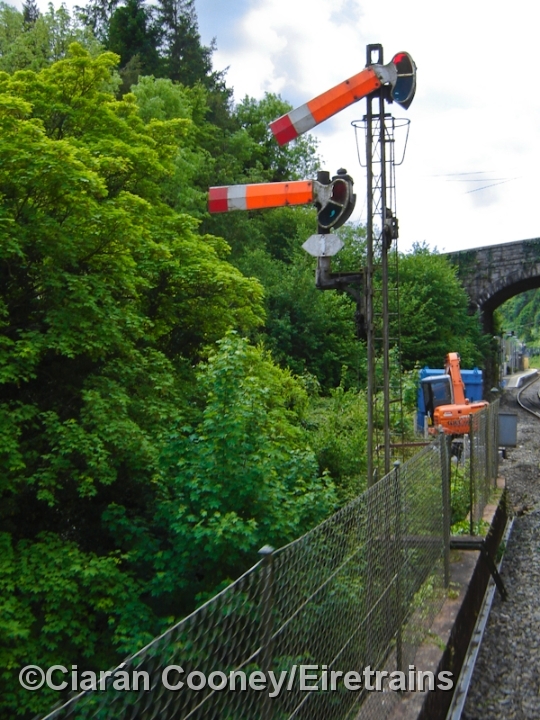 Rathdrum Station retains its now redundant DWWR signal cabin, located in an elevated position adjacent to the station footbridge, which replaced a collapsed bridge in 1876. 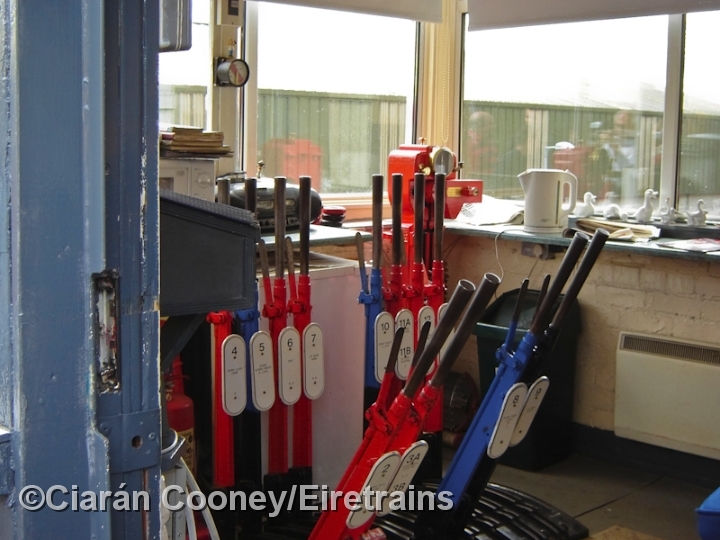 The goods shed also remains, it has been out of use following closure of the goods yard in 1963. 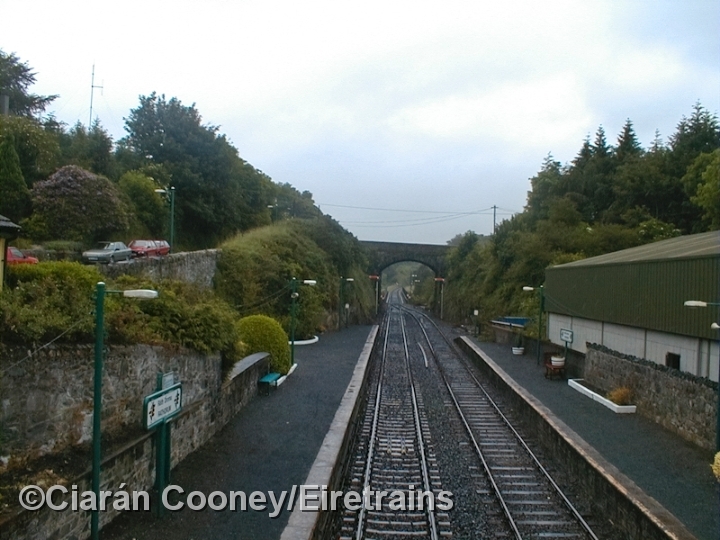 An engineers siding, known as the 'Wood Siding', is located at the south end of the station prior to Rathdrum tunnel, 190 yards long.